Agilent Technologies Inc's 7696 Sample Prep Workbench is a new instrument for automated preparation of analytical samples. The 7696 Sample Prep Workbench offers customers increased productivity through automation as well as easy-to-use of software and hardware. In addition, the 7696 reduces the cost per sample because it consumes smaller amounts of chemicals and solvents, produces less waste, and does not require glassware other than sample vials. Finally, the 7696 reduces laboratory workers’ exposure to chemicals, providing potential safety benefits in the workplace. 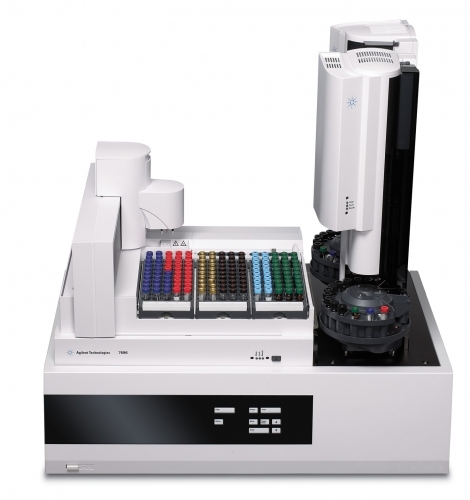 The 7696 supports sample preparation for liquid chromatography and gas chromatography techniques used in a wide range of industries, including pharmaceuticals, petrochemical, food safety and consumer products, forensics and environmental analysis. "Large-capacity, automated plate preparation workstation"